Who's crazy enough to rob a bank in a town controlled by the police? 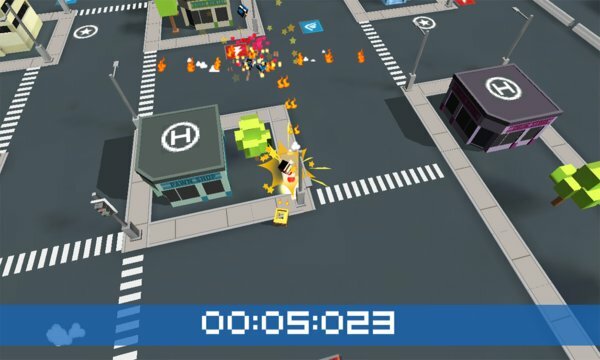 You are in this daring 3d driving game of cops and robbers! You're WANTED NOW ! 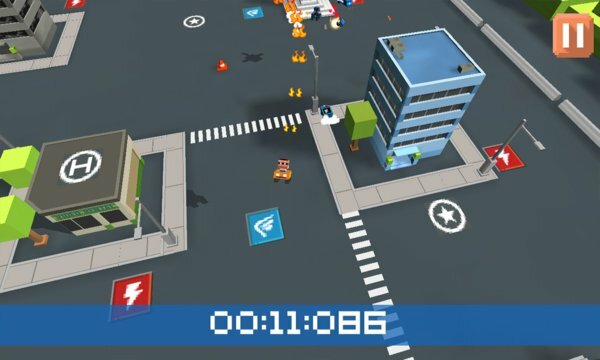 Escape the bank and kick off the police chase at top speed. Cops chase cars in this mini-town, so it's up to you to stay out of their clutches with some stunt racing. Jump and steer around obstacles, drift across the asphalt without crashing, and give yourself a nitro boost to keep going as long as you can. The moment you crash or are caught, the game is over. (Unless you can recover quickly!) It's up to you to make sure that doesn't happen for as long as possible. The longer you can stay on the lam, the higher you'll climb on the highscore leaderboards. Kids and adults alike who like 3D police-car games will enjoy defying gravity in this simulation game that will take you on a wild ride. First you need to get good at avoiding the cop cars...but just wait until the police helicopters kick into action! This criminally fun take on cat-and-mouse action will definitely get your heart pumping.